Donations to fundraising ideas and investments in start-ups continue to grow by double-digits each year. The opportunity to raise money for your dream project has never been more accessible but that doesn’t mean it will be easy. Starting a company or fundraising idea with crowdfunded money is just like starting any type of new business. You’ll need to put together a detailed campaign and a strong marketing plan for your crowdfunding project. Even if you’re just raising money for a short-term project, your campaign could turn into a part-time job. It’s probably why almost 60% of crowdfunding projects do not reach their funding goal. Beyond this horrible fact is another, raising money through crowdfunding can be easy! I spent years reviewing crowdfunding campaigns before launching this blog. 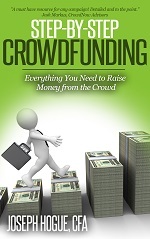 I know how crowdfunding promotion works and what it takes to make a crowdfunding campaign successful. Crowdfunding has been a boom for church fundraising ideas and school fundraising ideas, offering a whole new audience to raise money for your non-profit project. Still not sure about crowdfunding? Check out this free crowd funding webinar! 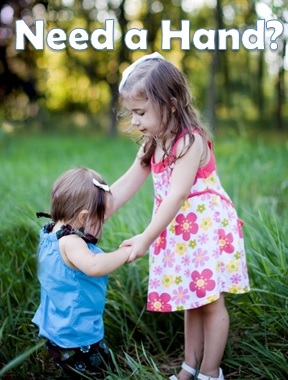 Want to Meet Your Goals for Fundraising Ideas? Start HERE! Pre-launch crowdfunding is the most important but most neglected stage of crowdfunding. Campaigns that start with no pre-launching activities have just a 15% chance at success. Campaigns that raise just 5% of their goal before the campaign goes live see the odds jump to 50%! Check out these top tips to boost your fundraising ideas and crowd campaigns by 33 experts in the field. It's a huge resource that you'll want to come back to often. Choosing the right crowdfunding site for your campaign is critical. Fees across the platforms are pretty similar but that’s where the similarities end. Some platforms do not allow social causes while others focus on them. Some platforms will allow you to keep the donations pledged while it’s all-or-nothing on others. Crowdfund campaign marketing is where most people focus their attention. Getting the right message out to the right people is critical to raising money from the crowd. Once you’ve got people coming to your campaign page, how do you get them to market your crowdfunding campaign for you? Building community in your crowdfunding campaign can put your fundraising on auto-pilot and help you shatter your goals. How do you put everything together to raise money for your fundraising ideas and crowd campaigns? Check out my new ebook, Step-by-Step Crowdfunding, for the process from start to finish. For now, sign up for our email list and I’ll send all the best expert insight and tricks straight to your inbox. Join our mailing list and receive a copy of, “7 Rules You Must Know about Crowdfunding,” absolutely free.